Heads up, classic rock fans! Iconic rocker Eddie Money is headlining his first-ever concert special for AXS TV, “Eddie Money: The Real Money Concert” which premieres Sunday, April 28 at 9 p.m. ET. The concert broadcast is preceded by a daylong “Real Money” and “Rock & Roll Road Trip with Sammy Hagar” binge-a-thon on Saturday, April 27, starting at 1 p.m. ET/10 a.m. PT. The programming marathon is hosted by the pair of rocker’s kids Jesse Money and Andrew Hagar. Eddie Money is known for kicking off the summer season at DTE Music Energy Theatre in Michigan each year. The AXS TV concert event was filmed there during Money’s 27th consecutive appearance. Nobody engages a crowd like New York native rocker Eddie Money, who blends his iconic hits like “Two Tickets to Paradise,” “Shakin’” and more with his own brand of dry, wise-cracking humor. As always, he’s joined by his kids (and “Real Money” co-stars) onstage. His daughter, Jesse Money provides backing vocals while his sons Dez Money plays guitar and Julian Money plays drums. 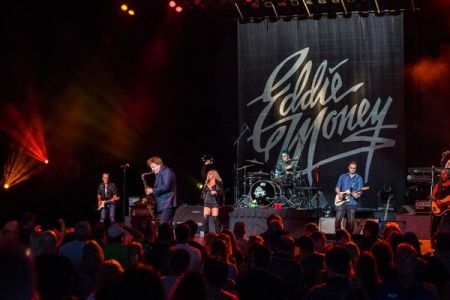 The concert also serves as a precursor to the second season premiere of Eddie Money’s hit reality series, “Real Money,” which launches on AXS TV on Sunday, May 5 at 8:30 p.m. ET/5:30 p.m. PT. The show follows the fun-loving and often chaotic antics of Eddie Money, his beloved wife Laurie Money and their five kids, Jesse, Dez, Julian, Zach, and Joe. Furthermore, AXS TV is highlighting some of the best moments from the network’s hit original reality series “Real Money” and “Rock & Roll Road Trip with Sammy Hagar” in “Real Money – Rock & Roll Road Trip – Binge-A-Thon” on Saturday, April 27th, starting at 1 p.m. ET/10 a.m. PT. 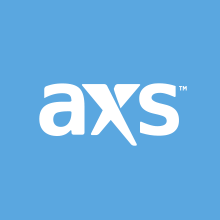 Both shows launch new seasons on Sunday, May 5 and AXS TV is helping fans gear up and get ready by revisiting some epic moments in previous seasons of both shows. The coverage block is hosted by none other than Jesse Money and Andrew Hagar. Both rock legends’ kids will introduce their favorite episodes of their fathers’ series, giving viewers up-close-and-personal commentary and insight. Coverage kicks off with eight episodes of “Real Money” starting at 1 p.m. ET, followed by eight episodes of “Rock & Roll Road Trip” at 5 p.m. ET. The night closes out with a special presentation of “Red ‘Til I’m Dead: Sammy Hagar’s 70th Birthday Bash.” The all-star concert features performances from Eddie Money, Toby Keith, Bob Weir, Darryl McDaniels and more. Sammy Hagar returns for season four of “Rock & Roll Road Trip,” which features 12 all-new episodes. The Red Rocker will hit the road once again to chat with his famous musical peers at locations across the country. He’ll also kick off some more spontaneous rock jams. Season four guests will include Rick Springfield, Vince Neil, Joe Bonamassa and many more. During season two of “Real Money,” the Money family will attend a family reunion in New York, play their sold-out show in Detroit, and even take a family trip to South Dakota – move over, Clark Griswold! Be sure to catch all of the action by tuning into AXS TV on Saturday, April 27, for the day-long “Real Money,” “Rock & Roll Road Trip” Binge-A-Thon, as well as the premiere of “Eddie Money: The Real Money Concert” on Sunday, April 28 at 9 p.m. ET/6 p.m. PT. Find AXS TV on your TV and stay tuned to AXS for programming news and updates.